Check on iNautia.com all of the Used sailing yachts that we have. 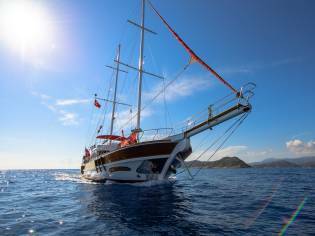 Find the Sailing yachts searching our website, we also have other types of boats available. 199 used sailing yachts for sale. 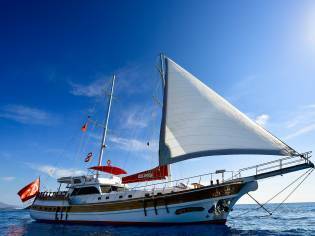 Find your ideal sail yacht boat, compare prices and more. Get an email alert for new ads matching your search. Buying a boat has never been so easy! X Yatchts 65 20 m from Length 3 m from Draft. Oceanis 350 11 m from Length. Jeanneau Sun Magic 44 13.33 m from Length 2,10 m from Draft. Beneteau Oceanis 60 18.97 m from Length 2,70 m from Draft. Elan Marine 514 Impression 16.1 m from Length 2,20 m from Draft. Jongert 2200 22.6 m from Length 2,6 m from Draft. Beneteau Oceanis 445 13.3 m from Length 1,60 m from Draft. Hallberg rassy 42 F 13.22 m from Length 2 m from Draft. Jeanneau Sun Odyssey 49 DS 14.98 m from Length 2,15 m from Draft. Moody Culverneer 15.11 m from Length 2,06 m from Draft. COMAR COMET 62 RS 19.02 m from Length 2,50 m from Draft. The yacht is a high end recreational boat. The term yacht originates from the Dutch word "Jacht" meaning "hunt" and referred to the Dutch Republic's Navy vessels which they used to hunt pirates. Later, the word yacht was popularised by Charles II of England when it started to be used as a recreational boat. The classification of a yacht depends less on its length, but rather the use of the boat, or recreational purposes. Several recreational boats can be considered a yacht, whether they are sailing or motor boats, and not just luxury ones. The sailing yacht is propelled by the wind. 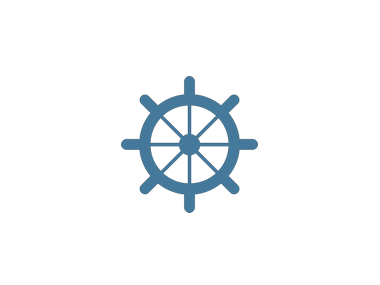 There are different types of sailing yachts but all have common characteristics: having a helm, a platform and at least one mast. The length of a yacht is usually at least 10 metres: if they are smaller than this they are considered to be cruisers. The maximum length of a yacht can reach many tens of metres, such as the super yacht with an Azzam motor, which measures 180 metres, or Sailing Yacht A, the largest sailing boat in the world with a length of 142 metres.